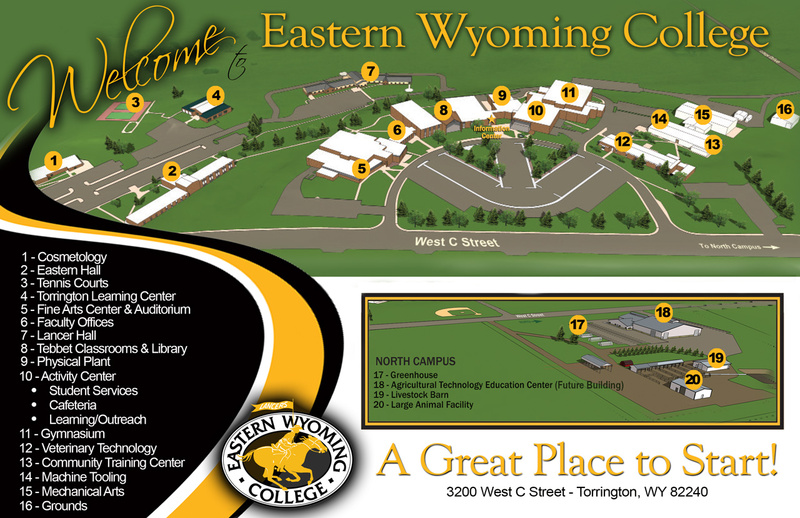 Eastern Wyoming College will be hosting the June meeting of the Wyoming Community College Commission on June 24 – June 25. There will be a joint meeting of the EWC Trustees and the Commissioners on Wednesday at 7:00 pm in the Dolores Kaufman Boardroom. A work session will be held in the cafeteria Thursday at 9:00 am and the business meeting will be held at 1:30 pm in the cafeteria. Topics of discussion include updates on the statewide strategic planning, community college task force, and new program approvals. For additional information on this meeting, please contact Holly Branham at 307.532.8303. One day before his 18th birthday, Ron Heagy had a surfing accident that left him a quadriplegic. He now spends time traveling across the country providing motivational talks. He did just that when he visited Eastern Wyoming College to speak to 7th through 12th grade Gear-UP students. He tells students that “I chose to never give up, after receiving a Masters Degree by typing with a stick in my teeth, I am now an inspirational speaker, mouth painter, author, husband, father, and founder of a special needs camp located in Oregon, which has given freedom to numerous individuals to explore the wonderful outdoors.” He is also the founder of Life Is an Attitude LLC. Mr. Heagy spoke about making good choices, good attitudes and doing good for others. He went on to say that good choices bring good consequences, attitude is gratitude, and doing good will get good back. For more information about the GEAR-UP program at EWC please call Judy Brown, at 307.532.8269 or judy.brown@ewc.wy.edu.